﻿Airmax has spent years designing and perfecting the technology to create effective and efficient dust collection control systems. 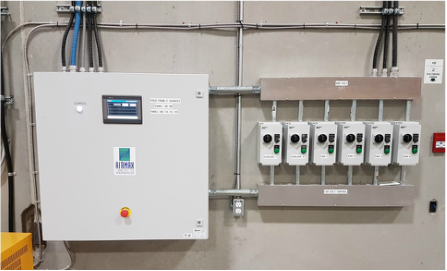 The primary goals of our control systems are to reduce the overall cost of ownership by minimizing capital costs, lowering energy consumption and eliminating maintenance and safety issues. 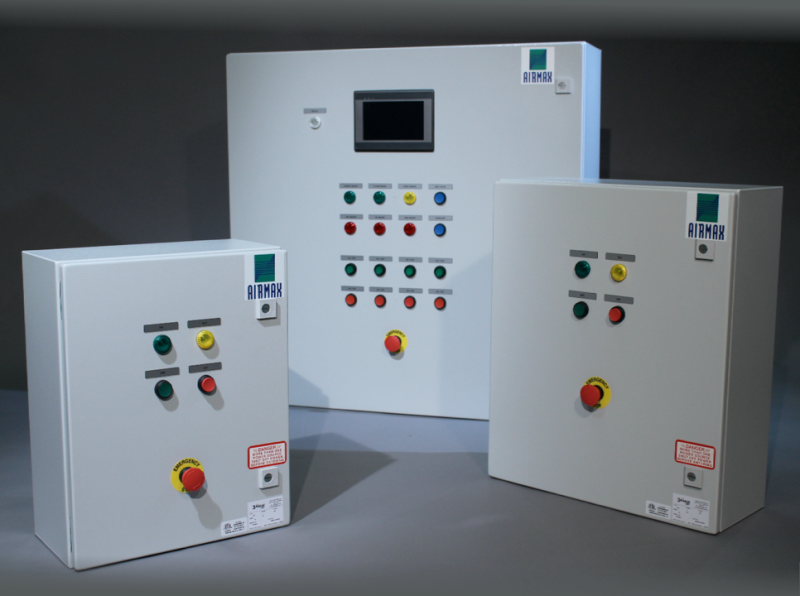 By having interactive and easy to use control panels customers can effectively maintain manual control over any portion of the system when needed. when Automatic control is required the system will manage everything from cleaning cycles to scheduled on/off times. To make troubleshooting easier and to reduce downtime the system uses technology that will record any issues with the system. The systems can also allow for remote login for Technical assistance by Airmax. Automated blast gates are used to reduce the overall size of the dust collection system required, and to reduce the fan energy consumption when 100% suction is not needed. This system is designed to ensure that minimum conveying velocities are always being met, so that your system will always be in NFPA compliance. Where space constraints are prevalent, this system can be used to reduce the overall system footprint.